Almost a million Australians, both men and women, served in the Second World War. They fought in campaigns against Germany and Italy in Europe, the Mediterranean and North Africa, as well as against Japan in south-east Asia and other parts of the Pacific. The Australian mainland came under direct attack for the first time, as Japanese aircraft bombed towns in north-west Australia and Japanese midget submarines attacked Sydney Harbour. 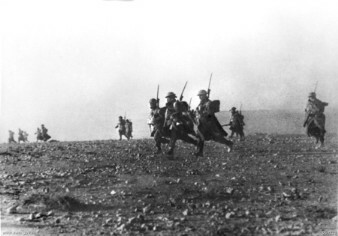 Following early successes against Italian forces, the Australians suffered defeat with the Allies at the hands of the Germans in Greece, Crete, and North Africa. In June and July 1941 Australians participated in the successful Allied invasion of Syria, a mandate of France and the Vichy government. Up to 14,000 Australians held out against repeated German attacks in the Libyan port of Tobruk, where they were besieged between April and August 1941. After being relieved at Tobruk, the 6th and 7th Divisions departed from the Mediterranean theatre for the war against Japan. The 9th Division remained to play an important role in the Allied victory at El Alamein in October 1942 before it also left for the Pacific.By the end of 1942 the only Australians remaining in the Mediterranean theatre were airmen serving either with 3 Squadron, Royal Australian Air Force (RAAF) or in the Royal Air Force (RAF). Japan entered the war in December 1941 and swiftly achieved a series of victories, resulting in the occupation of most of south-east Asia and large areas of the Pacific by the end of March 1942. Singapore fell in February, with the loss of an entire Australian division. 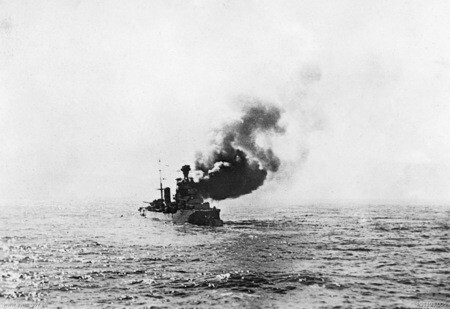 After the bombing of Darwin that same month, all RAN ships in the Mediterranean theatre, as well as the 6th and 7th Divisions, returned to defend Australia. In response to the heightened threat, the Australian government also expanded the army and air force and called for an overhaul of economic, domestic, and industrial policies to give the government special authority to mount a total war effort at home. In March 1942, after the defeat of the Netherlands East Indies, Japan’s southward advance began to lose strength, easing fears of an imminent invasion of Australia. Further relief came when the first AIF veterans of the Mediterranean campaigns began to come home, and when the United States assumed responsibility for the country’s defence, providing reinforcements and equipment. The threat of invasion receded further as the Allies won a series of decisive battles: in the Coral Sea, at Midway, on Imita Ridge and the Kokoda Trail, and at Milne Bay and Buna. Further Allied victories against the Japanese followed in 1943. Australian troops were mainly engaged in land battles in New Guinea, the defeat of the Japanese at Wau, and clearing Japanese soldiers from the Huon peninsula. This was Australia’s largest and most complex offensive of the war and was not completed until April 1944. The Australian army also began a new series of campaigns in 1944 against isolated Japanese garrisons stretching from Borneo to Bougainville, involving more Australian troops than at any other time in the war. The first of these campaigns was fought on Bougainville and New Britain, and at Aitape, New Guinea. The final series of campaigns were fought in Borneo in 1945. How necessary these final campaigns were for Allied victory remains the subject of continuing debate. Australian troops were still fighting in Borneo when the war ended in August 1945. While Australia’s major effort from 1942 onwards was directed at defeating Japan, thousands of Australians continued to serve with the RAAF in Europe and the Middle East. Although more Australian airmen fought against the Japanese, losses among those flying against Germany were far higher. Australians were particularly prominent in Bomber Command’s offensive against occupied Europe. Some 3,500 Australians were killed in this campaign, making it the costliest of the war. Nurses had gone overseas with the AIF in 1940. However, during the early years of the war women were generally unable to make a significant contribution to the war effort in any official capacity. Labour shortages forced the government to allow women to take a more active role in war work and, in February 1941, the RAAF received cabinet approval to establish the Women’s Auxiliary Australian Air Force (WAAAF). At the same time, the navy also began employing female telegraphists, a breakthrough that eventually led to the establishment of the Women’s Royal Australian Naval Service (WRANS) in 1942. The Australian Women’s Army Service (AWAS) was established in October 1941, with the aim of releasing men from certain military duties in base units in Australia for assignment with fighting units overseas. Outside the armed services, the Women’s Land Army (WLA) was established to encourage women to work in rural industries. Other women in urban areas took up employment in industries such as munitions production.